If you have a problem with your heating system in your Mauldin home, our team can provide repair or new installation services. 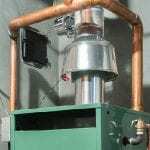 When the weather gets chilly outside here in Mauldin, South Carolina, it’s critical to have a heating system that can keep up with the temperature shifts. If you find yourself shivering within your home, instead of bundling up under blankets or putting on a sweater, give us a call at Air Kool Heat & Air. We offer a variety of heating services designed to improve the overall comfort of your house, no matter what the weather is like outside. One of the best ways to keep your heating system in good condition is to bring in one of our technicians for regular maintenance. During this service, we will check the system overall and look for specific problems with the various components. 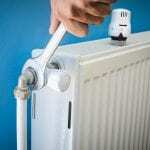 If we spot something concerning during the maintenance, we can repair or replace the part immediately, instead of waiting for it to fail, which can leave you without heat during the coldest season of the year. 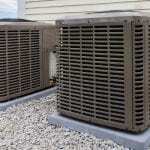 We will also clean the coils and other parts of the HVAC system to ensure peak functionality. If you have a problem with your heating system in your Mauldin, South Carolina home, our team can provide repair or new installation services. When issues pop up outside of normal business hours, you can always contact us, since we’re available for on-call emergency service. 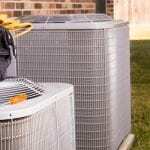 In addition to furnace repairs, we also have experience with service on heat pumps. No matter what you need, contact us at Air Kool Heat & Air for fast, friendly service that you can always depend on at your home.